It's vocaloid friday and here's a quick updates of what is happening in the world of Vocaloid. 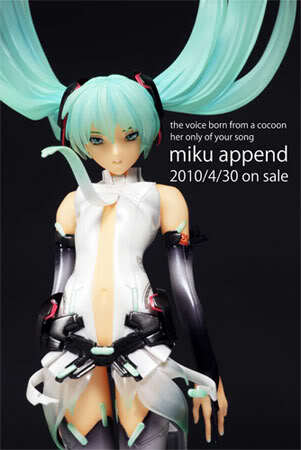 Hatsune Miku Append is the additional audio library pack to add the expression of various voices to virtual Singer, Hatsune Miku. 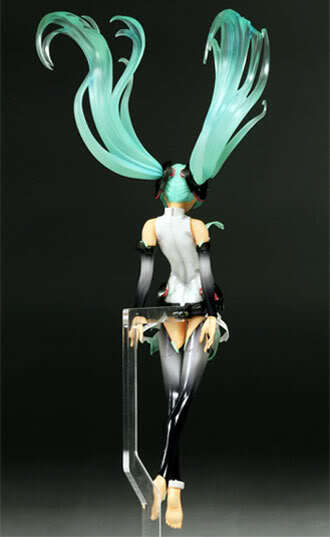 In line with the release, an awesome figure of Hatsune Miku was produced. The feeling of this figure is like weightless. The semi translucent blue tone hair...The feature of Hatsune Miku was very well done with a change of her usual square hair bands on both side. Breaking away from her traditional costume, this is very much a Plugsuit which bring out the beauty of Hatsune Miku's slim body. Anyway the Software of Hatsune Miku Append include further enhancement of the mood in the voice of Hatsume Miku such as Soft, Dark, Solid, Vivid, Sweet and Light. For the release of Hatsune Miku Append software can be found here in Japanese. For the detail of the figure is here in Japanese. 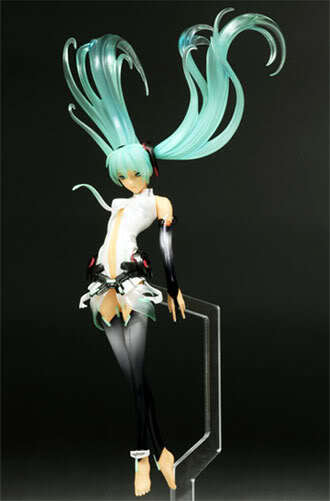 Personally this Hatsune Miku's figure was a love at first sight for me. 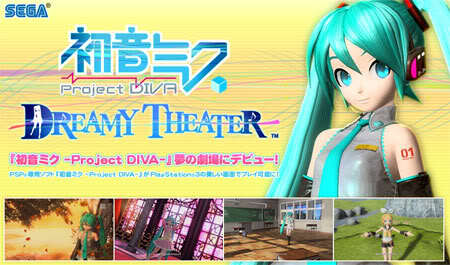 Coming in Summer, Project Diva goes to PS3! Some said that the version is the same as PSP but better and smoother graphic. Well I am not complaining as I really enjoy the game watch Miku doing her dance and the camera angle.